After 2.5 month past, I decide to pause my store, My Quali Stuffs and re-strategise the way to go. This experience make me not confident enough to keep such business model. Hopefully my store does not gain enough attention and there are no order from anyone, so I am not suffer from any delivery issue or customer complaint. And I think it is not really a good start to just run drop-shipping without having a stable supplier to support your business. Therefore, it is still not the end day of My Quali Stuff, I am just aim to tackle on the lesson I learnt: I need a stable supplier, so I am now trying to approach some physical store who does not have online store for their online business, I am trying to compensate what they miss and try leveraging my store as their online store, to holds their product online so as to attract more of their potential customers. People who know me would likely know I am a big fan of e-commerce, along with my career and the time before reaching my 34th, I have dedicated myself to e-commerce related role, acquiring as much web knowledge as possible and help my clients setup various e-commerce business. And I come to a moment, thinking of how to learn from my clients’ success stories and work out my own version, so, My Quali Stuffs arises. My Quali Stuffs, a drop-shipping based online business, powered by Shopify. I know Drop-shipping would be the simplest step to run an online business when I having no connection with any suppliers, which is different from all of my clients that they have some wonderful suppliers or they are themselves the suppliers of the items they sell. And I look forward with such self-experiencing e-business, I can put myself in a much closer position and look at e-business from client’s perspective, tackling the online marketing with real exercise, putting my real money on a real investment and see how it goes. No one can tell it would be an easy job, my advantage would likely be skipping the cost for an IT guys / developer, or familiar with various tools / marketing channel with lack of real hand-on experience. I would love to share more update and maybe some day you may see the success of my story, or the fall of my business and I have to work harder for my original business. Since the incident, I aware the linux server we have for our Jenkins is already kind of old. I though the story is about to end after my colleagues upgraded the changes. Another side of the workspace dev buddies start complaining the failure of building the application. And they are actually working on VM which is CentOS 6. 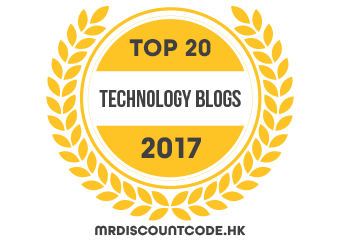 Honestly I am shocked more than a surprise when a website call MrDiscountCode.hk sent me a email saying my blog is being listed in their Top 20 Technology blog 2017. As I only use my blog share the website that I made, or share the technique that I think good to see how it could work for others. Of course I subsequently receive follow up email to ask if I can add their badge above, which I know it is a way to not only help me from having my blog being listed in their site, but also to have their site url mentioned in my blog so as to improve SEO. Even knowing very limited about MrDiscountCode.hk , as long as it is not spam site, and it is a Hong Kong Startup, I am fine to receive this appreciation and recognition. And this may also be a chance to really allow me examine how this can affect a site SEO if both side mentioned each other website. I know my blog is still very in-adequate in knowledge sharing, and it is still a long journey for me to learn more how to run a e-commerce better. Such recognition would be a small encouragement for me to share more and more often. Hope you find my site really helpful. You need a domain name for your website / online store. Like my site, gordon-chan.net is the domain. You have your domain share to people so they know how to reach your site. For people who new from website / online store setup. When they register Shopify for their store, they could also purchase a domain through Shopify so as to get rid of having the store domain as xxxxx.myshopify.com . Shopify sell a .com domain with USD $13/year, and they help you integrate the domain with the store seamlessly. It seems handy, and yet, you can actually have other choice. Buying a domain from GoDaddy or some other domain service provider is very easy, and often offer you much more discount if you register for few-year package. Let say GoDaddy sell a .com domain $8 + $120 = $128 for 2 year ($8 for the first year). Of course, GoDaddy is famous with its poor / non-user-friendly interface. Yet it is the cheapest domain seller I ever see. Some other clients use Domain Discount 24 , again, the feature is detail but the interface is quite traditional. So, having shared alternative option for domain purchase from cost perspective, any other reasons for not using Shopify domain? Answer this, you need to aware Shopify is actually working with OpenSRS, which is the real domain service provider. When you signup a domain through Shopify, you don’t receive any information about the domain management. Like any login information for domain panel. It is indeed when you need to get your domain integrate with GSuite / verify your domain ownership using domain CNAME records etc. You can get your domain panel information with a very simple and feature-less interface only if you call / live-chat with Shopify Support, which sounds weird to me. Apart from that, domain renew fee is bundled with Shopify invoice, You cannot purchase the domain for X years, or add any additional protection to the domain. So, I often recommend my clients, either buy domain from GoDaddy and seek for Shopify Expert help on the configuration (link up the domain with the Shopify store) or contact Shopify support to obtain the domain login information as soon as they can, in order to gain back the control of the domain. Here are some tips I would share with people who wanna setup a Shopify Store for their online business. Not attempt to but fine if you do treat me as sale-person for my own freelance business, just, there are quite fundamental benefit for finding help from Shopify Expert. Apart from the potential cost for consultation, you will definite save costs that you may not necessary need to pay for. Some clients come to me for Shopify store setup, but they often already start paying Shopify for some time and they fail to get the store work in the way they like so seek for Shopify Expert. In fact, Shopify Experts are authorised to setup “Development store” which is Shopify Store that with majority features but no trial period limitation. In general, Shopify Experts know how to assist you to technically achieve something you want, and what is technical infeasible before it comes to solid request. People who start paying Shopify while not knowing Shopify limitation will result in a waste of time and money. At worst, they are not satisfied with what Shopify provides and cannot utilise this platform for their business. Cost for hiring a Shopify Expert can be minimal. Free of charge is not the way we go for, but Shopify Expert like me treat meeting potential clients as friend-making. There are few area you need to spend money for store setup or running a store in long run. Some Shopify Expert are fine to share with you the detail about Shopify, some other may impose a consultation fee. No matter what, look for multiple Shopify Experts and compare their service pricing models. Shopify App provides you features that not supported by Shopify out-of-the-box. Example: Some store wanna customer upload their logo / image as tailor-made T-Shirt. Shopify does not support this, but some app like Product Customizer can provide this capability; Shopify cannot do multilingal, it support translation but only single language can be shown. You can use Langify to achieve this feature. Whenever you receive an order and perform the transaction (captures the amount that customer pay), Shopify will have transaction fee. Additionally, the payment gateway service, like Paypal / BrainTree / Stripe / PayDollar, they will also have transaction fee. This is different from the consultant fee. This cost is for the Shopify Expert help you develop the E-Store in the way you wish to. From theme styling to functional integration. The cost and the included services can be quite different among different type of Shopify Experts. You cannot expect your site can run very well in China region as Shopify is a foreign country where their servers located beyond China boundary.